Our series on baby feeding, the tracking of women in Saudi Arabia and Skin from Skunk Anansie performs. Plus Why is female body hair still contenious and what is the hair heirachy? 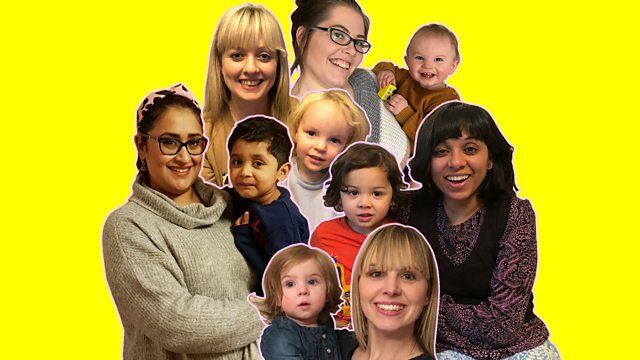 Woman’s Hour joined forces with BBC Radio Sheffield for a series of programmes looking at how women are feeding their babies and how it makes them feel. Jane talks to their Weekend Breakfast presenter Kat Cowan who’s recently returned to work after maternity leave, following the birth of her son Cooper. Plus, we hear from other mums around the country, about what they went through whether they breast, bottle or mixed fed their babies. Skunk Anansie have brought out a new album 25LIVE@25 - a compilation of live recordings from the last 25 years. Lead singer, Skin talks to Jenni and sings live in the Woman's Hour studio. Januhairy is a month-long campaign urging women to embrace their body-hair - we ask if there's a hierarchy when it comes to women and body hair. Jenni talks to Karín Lesnik-Oberstein, Professor in the Department of English Literature at the University of Reading, and the editor of new book called The Last Taboo – Women and Body Hair and freelance journalist Chitra Ramaswamy. Under the 'guardianship' system in Saudi Arabia women can be tracked and monitored via a large government database and an app called Absher. We look at the impact that can have on those wanting to escape domesic abuse.